August 2015 [Updated September 2017] ... 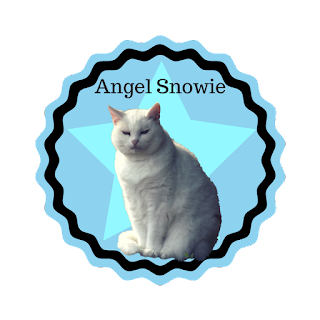 Finally we've gotten around to doing an about us page, and after nearly 120,000 page views some of The Heathen Hoard thought it was a moot point, a bit like after the horse has bolted but I said, "Look mew lot, we make new pawesome furriends effury week, and they have no clue about us!" We are all from the same Rescue Centre apart from Amber and Smoochie. 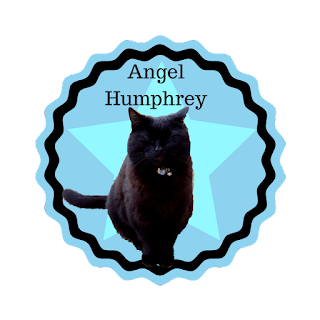 Humphrey and Miss Mildred [OTRB January 2009] were the furst to arrive in February 2000, closely followed by Snowie and Posie in April of the same year. 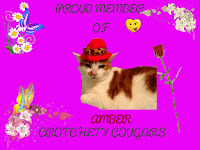 Amber was next in May 2002 aftur her previous peeps decided a new leather sofa was better than a cat ???? 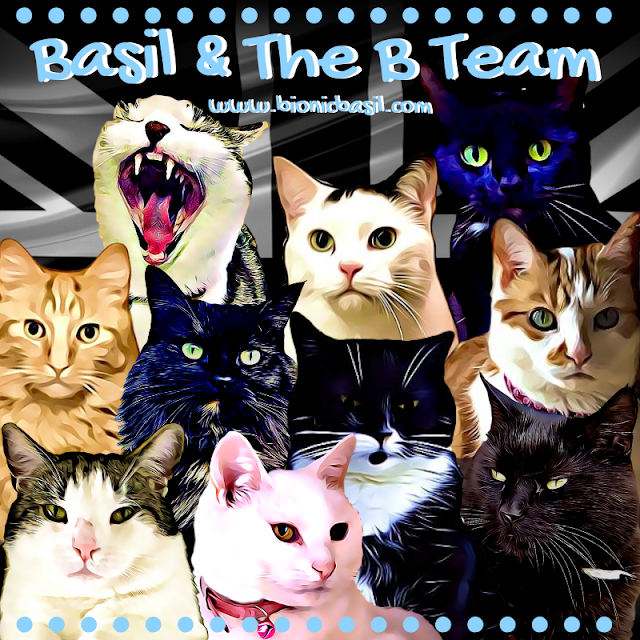 I, Basil was next to arrive in May 2004 aftur having four homes in two years. 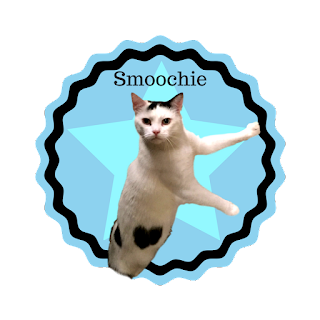 Then there was a long pause before Smoochie arrived in November 2012, he was a feral at the P.A. 's wurk that she was feeding, he furry sadly got hit by a car and the P.A. brought him home after his surgery. And finally young Parsley arrived in September 2014. 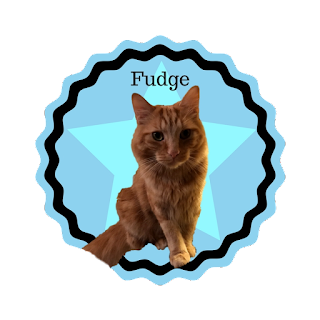 Fudge and Pandora arrived in Spring 2017. 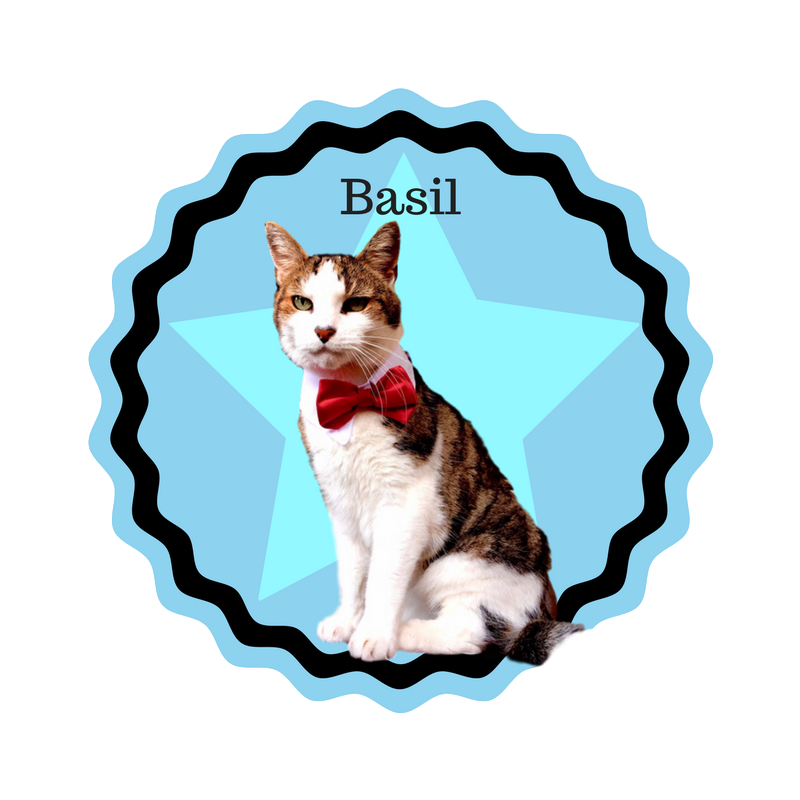 Updated: Basil furry sadly departed offur the RB in 2018 aged 16, but he will still be furry active here on the blog thanks to Humphrey's ingenious EMD ~ Earth Me Device, which will enable Basil to stay with us fureffur - how pawesome is that? Epically so! And now a memfur of.. Likes: Water:- taps, puddles, ponds, buckets, the shower, the bath, the sink etc... love's it! Our fabulous Cloud Oppuratives always join us fur a our annual Summer Blockbuster. 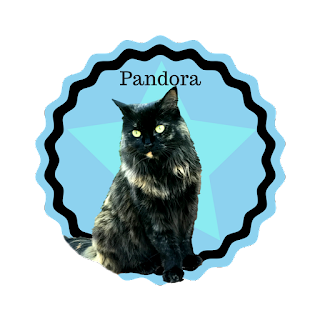 So as mew can see, where a bunch of supurr diverse characters which makes fur a furry interesting home-life [MOL] but generally effurypurdy gets along just fine. 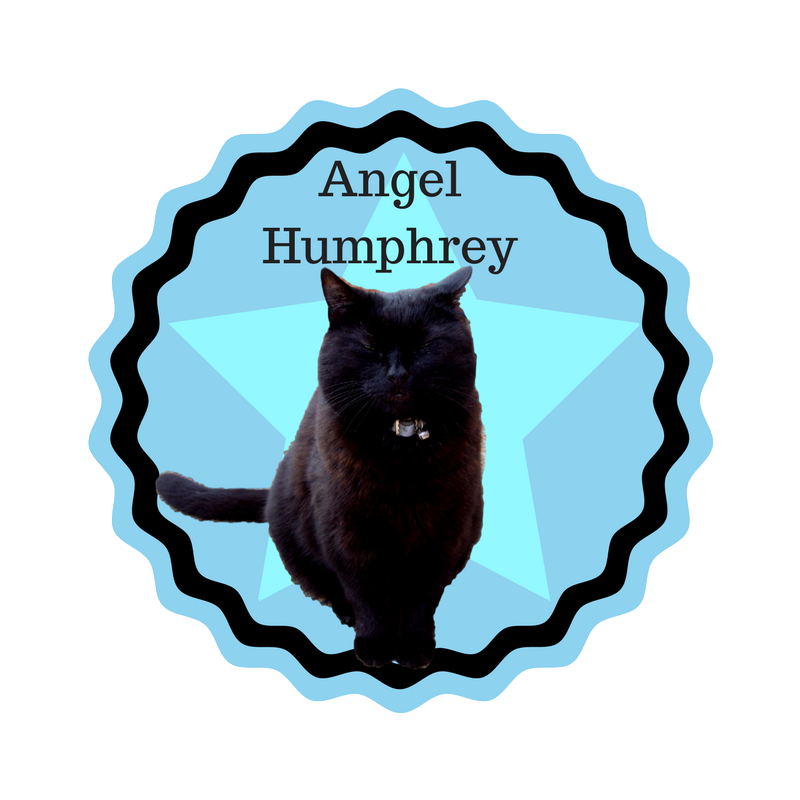 There's an occasional spat, hiss, and swipe, but that's purrfectly normally in a large furmilly. Our P.A. 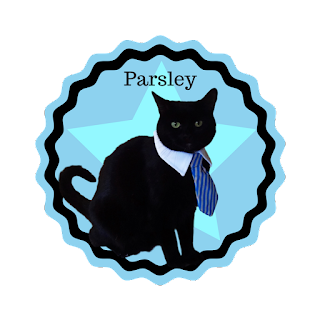 [Purrsonal Assistant] Cathrine [Another Cat] and Dad look after all our needs and wants, making sure we're all loved, and well taken care of, so what more could we ask fur! We've been blogging fur 5 years and have made some truly pawesome furriends along the way. We try to be as unique as we can sharing our many adventures with mew on a weekly basis. 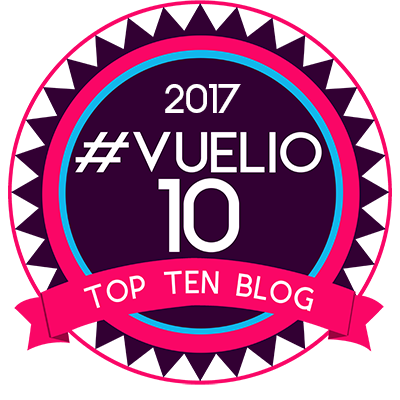 Effury year we'll have a mega adventure and the story can take between 10 - 16 blog posts to come to fruition as suspense is our middle name. 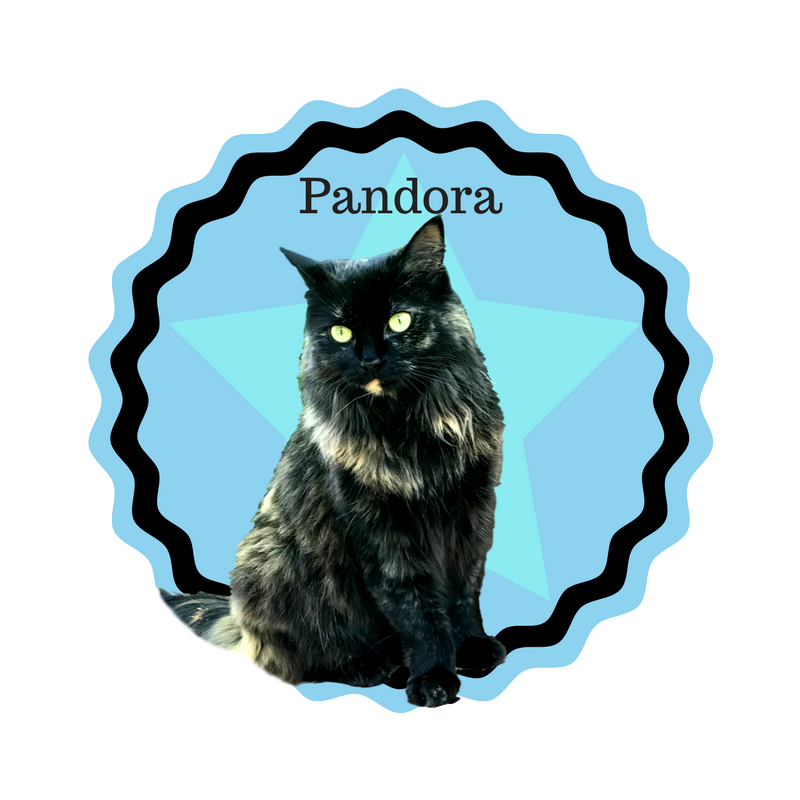 The above stories are all being turned in novellas fur 2019, so once they're ready in book form we'll let mew know! 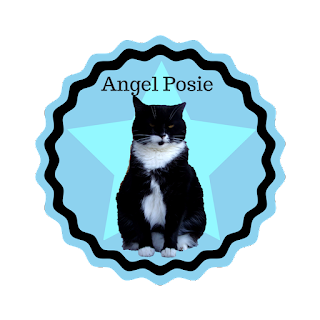 We also participate in many blog hops throughout the week and co-host the Pet Parade with The Dash Kitten Crew & Barking From The Bayou every Wednesday. 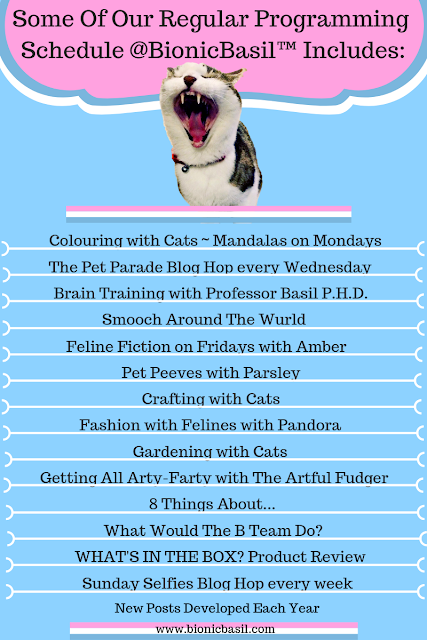 We also feature Brain Training, Book Reviews, Colouring With Cats, Pet Peeves, Crafting With Cats and a whole host of other things too, so there's something fur effurypurrdy. And we're developing new posts and content all the time to keep mew entertained. Our P.A. also writes children's and young adult novels when she has time, she is also a jewellery designer, artist and generally loves making/creating stuff. She's a little eccentric [MOL- yeah it's true believe it or not] and her love of all things creative is what keeps our blog fresh and fun with lots of new content weekly. We also raise funds fur The Burton Joyce Cat Rescue, where most of us came from and in 2016-2017 Parsley's Time Travelling Bobble Hat went on tour around the globe and we we're able to raise £150.00 which was epic as Parsley and Smoochie donated £1 each fur effurytime the Bobble Hat was featured. Thank mew to all who purrticpated and donated, Brenda; the luffley lady who started the rescue many years ago was absolutely delighted when we gave her the cheque this summer . We are thinking of a new fund-raiser fur 2018/19 and will obviously let mew know when we've thought of something really fun. So if mew're thinking of adding a fabulous feline or two, or maybe three to your family, please check your local rescues and shelters furst, as we know there's the purrfect kitty fur mew in one of them! Effury now and then we get asked to do a sponsored post or a product review etc... which is great fun! FYI: Even though we have been given item/s free of charge for a review, our reviews are completely honest and reflects our own experience with the product/s. So if mew'd like us to do a product review or a sponsored post, that's great and we'd love to help, in our own style of course. We also like feature guest posts, cat literature - well anything feline really fur that matter, so if any of mew have something to say or would like to share with our readers, drop us a line. Well that's about it fur now, if there's anything mew'd like to know purrlease feel free to leave us a comment or email us via the contact form on the left-hand side bar. 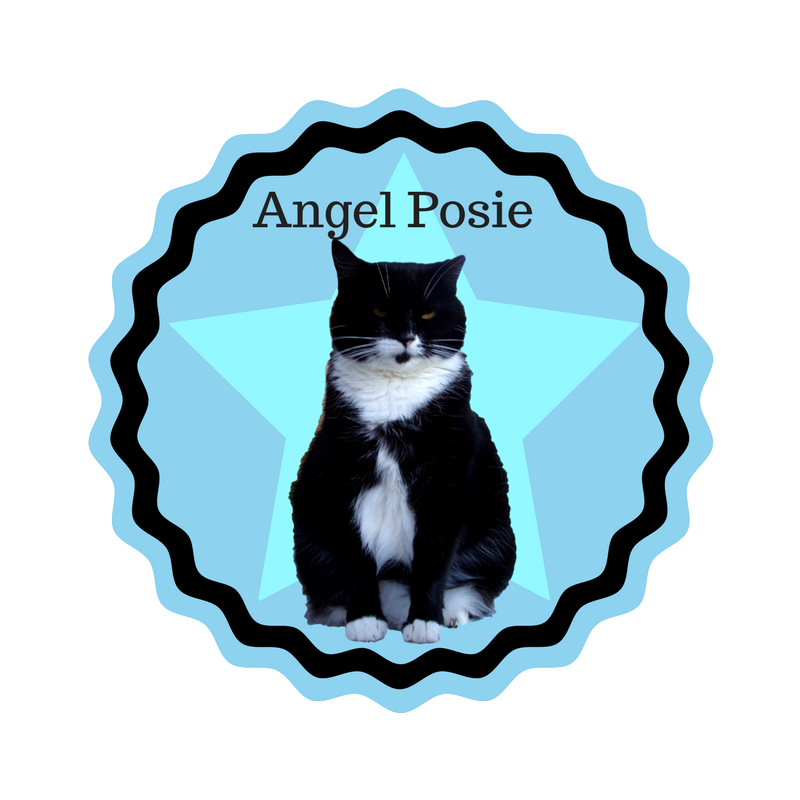 Oh and before we furget, we do love, more than we could effur express all the comments that our pawesome furriends, readers and subscribers from all over the world leave us and we do try to respond to as many as possible, although sometimes the P.A. 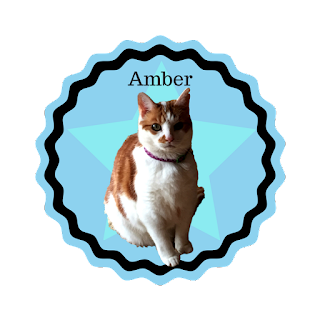 doesn't have as much time as we'd like fur this [as she runs her own business as well as the blog], so just know that we cherish effury word mew write!